The discovery of Cuba by Christopher Columbus in1492 was the prelude for the official founding of Havana by Diego Velásquez de Cuéllar in 1519. Originally called Habana, the city marks its 500th anniversary this year and it will be celebrated in style with concerts, performances and cultural events. 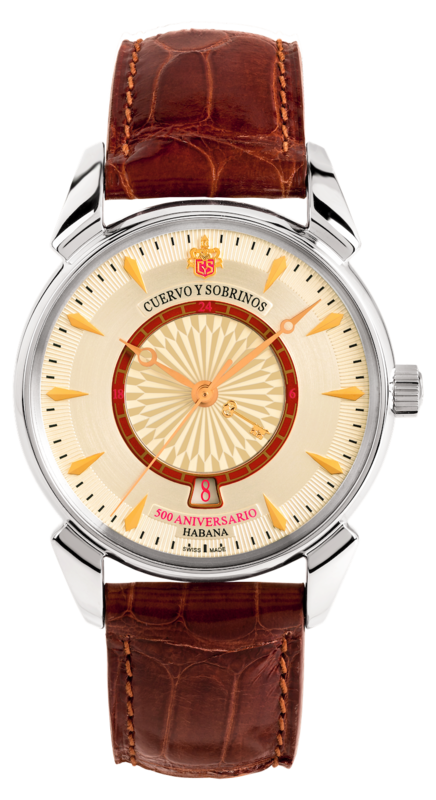 To celebrate this great 500th anniversario Cuervo y Sobrinos have launched a limited edition of its classic Historiador range, the Historiador 1519. The case, in stainless steel, measures 40mm x 10mm. It has a double curved AR-coated sapphire crystal, a sapphire display back, and it is water resistant to 30 meters. 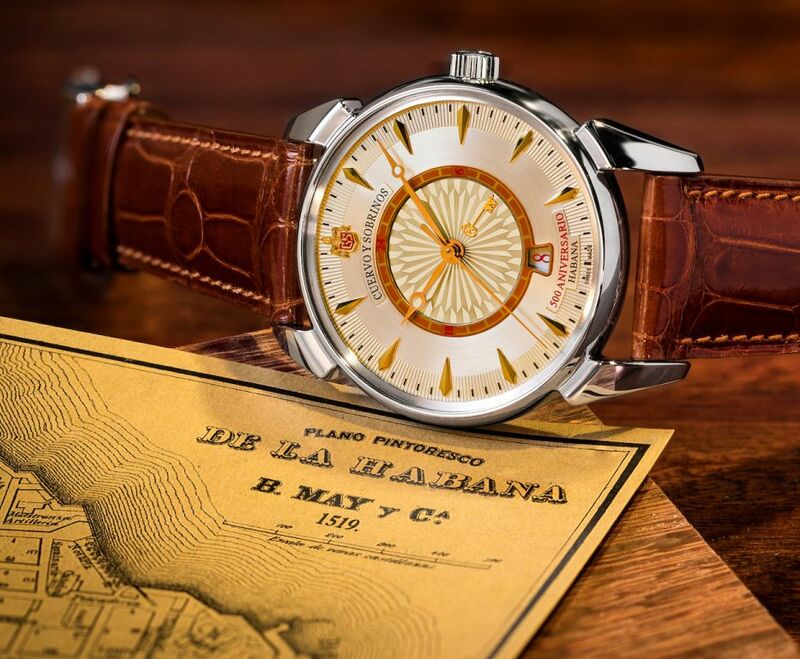 The three castles (The Fuerza, The Morro and the Punta Castles) that make up the Havana flag, can be viewed in the caseback. 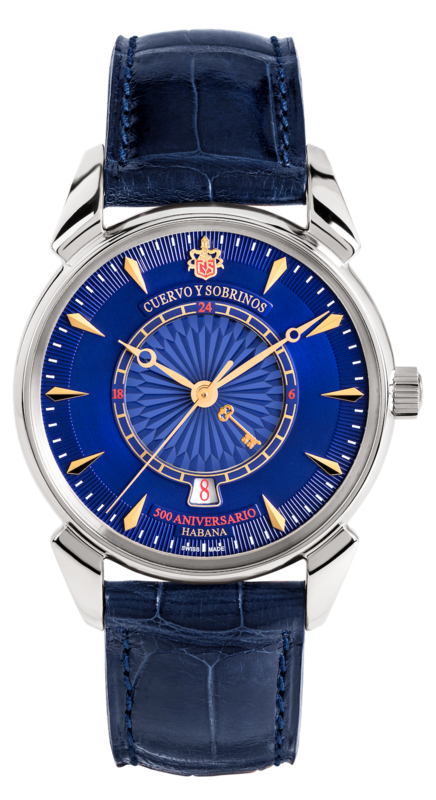 Movement is the Swiss automatic Cuervo y Sobrinos caliber CYS6123 with 21 jewels, 28,800 vph and a power reserve of 38 hours. The rotor is decorated with the symbol of three castles, as shown the flag of the city of Havana. Functions are: hours, minutes, central seconds, and date. Second timezone with 24 hours, universal hour indicator with disc. 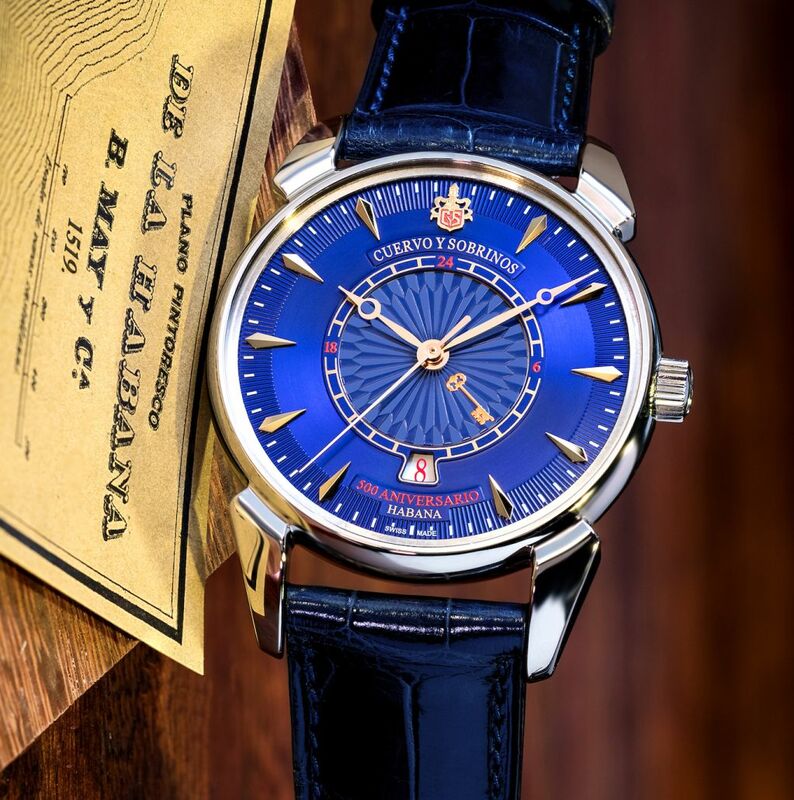 It comes on a blue or cognac Louisiana alligator leather strap with a steel folding clasp.